(Thursday-February 8, 2018) On February 7, 2018 Officers from the Richardson, Tx Police Department responded to a disturbance call at an apartment complex located on East Renner Road. Shortly after arriving, officers located a man suffering from a gunshot wound outside of the apartment complex. Richardson Police Officers were able to locate where the gunman was located, upon entry the man opened fire, striking Officer David Sherrard. 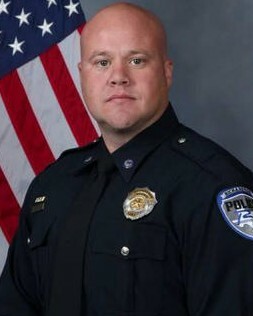 Officer Sherrard was transported to Medical City Plano where he later succumbed to his wound. Officer Sherrard had served 13 years with the Richardson Police Department. He is survived by his wife and two children. The Guns & Hoses Foundation of North Texas has officially opened the Benevolence Fund to help assist the family of fallen Police Officer David Sherrard. These men and women have shown a great deal of strength in their lives and in our communities. The bottom line is, we can’t do it without your help.